Sunday Salon – March Recap – Happy April Fools!! and my fantastic friend Cheryl’s birthday too !! Happy Birthday Vicki and Cheryl!!! Here’s a little recap of March 2012!!! I was also given the great honor of reading a manuscript that should be coming out soon. (Included in my total above.) My favorite of the month was Little Shop of Homicide followed closely by Glow. I am surprised at how well I am doing on my challenges. The one I was nervous about was the A-Z Challenge and I have already taken care of 21 letters and have books lined up on my shelf to complete the challenge with the exception of the dreaded letter “Z”. Since Zombies really aren’t my thing I would love to have you help me with some recommendations!! 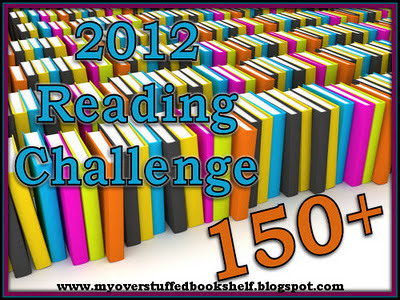 I am also doing much better this year than last on the Where Are You Reading Challenge? already covering 28 out of 51 states (Had to add 1 for District of Columbia.) and 5 countries. I think Idaho and Rhode Island will have me scrambling in December. Let me know if you can recommend any titles to help me out. April is going to be a month of Virtual Blog Tours around here starting with Whole Latte Life this Thursday. Then Titanic 2012 on the 12th, Love Thy Neighbor on the 19th and A Grand Murder on the 26th. Cozy Wednesdays are going to be fun too. Elizabeth Lynn Casey starts things off this Wednesday, her latest is Reap What You Sew. Then Dorothy St. James, The Scarlet Pepper, will be here April 11. Leann Sweeney, The Cat, the Wife and the Weapon, visits on the 18th, and Erika Chase, A Killer Read, rounds out the month on April 25. Wow, impressive reading list! I see two on yours that I read: Blue Monday and Whole Latte Life. Loved both of them. I also see some “wanna read” books, like Calico Joe and several of your cozies. I downloaded some cozies this week, as I’m participating in a Cozies Challenge this year. (Mimosas, Mischief & Murder and An Appetite for Murder). Thank you my good buddy for the wishes. You can stop singing now…..PLEASE!! lol I try to forget them at my age, and sometimes I do due to senior moments lol. I have a booked called Zapped on my TBR pile which is upstairs or I could tell you the author. I ordered an x book and found a Q book at bookstore but have to find where in the house they are resting. Wow what an awesome March you had!